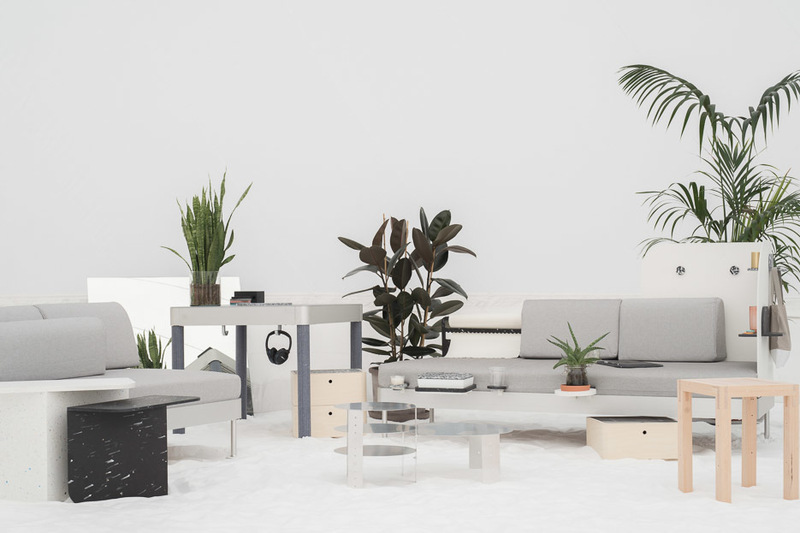 Mass production meets hyper-local fabrication via 7 designers experimenting with recycled materials, digital fabrication and the Delaktig sofa/bed by Tom Dixon and Ikea. Future living lab SPACE10 invited Opendesk to collaborate with them for their inaugural 3-day festival, Made in Space. Together, 7 designers were invited to participate and design locally-made additions to Tom Dixon’s pre-release Delaktig sofa/bed, designed as a modular system for Ikea (due for public launch in early 2018). 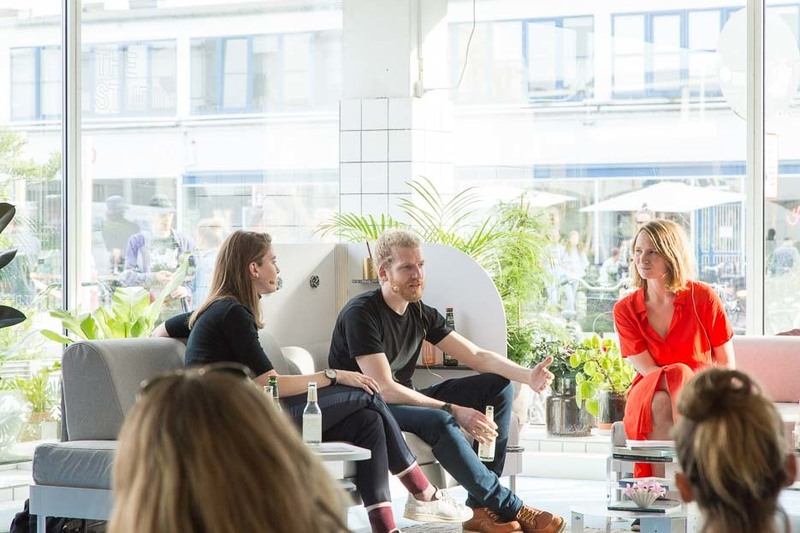 Located in and around SPACE10’s headquarters in the former meat-packing district just south of downtown Copenhagen, Made in Space is part conference and part design festival focused on exploring alternative futures. Guests included Design Indaba, founder Ravi Naidoo, visionary Italian architect Carlo Ratti and Blockchain pioneer Jessi Baker of Provenance. The focus was spread across three broad themes; Circular Societies, Coexistence and Digital Empowerment. 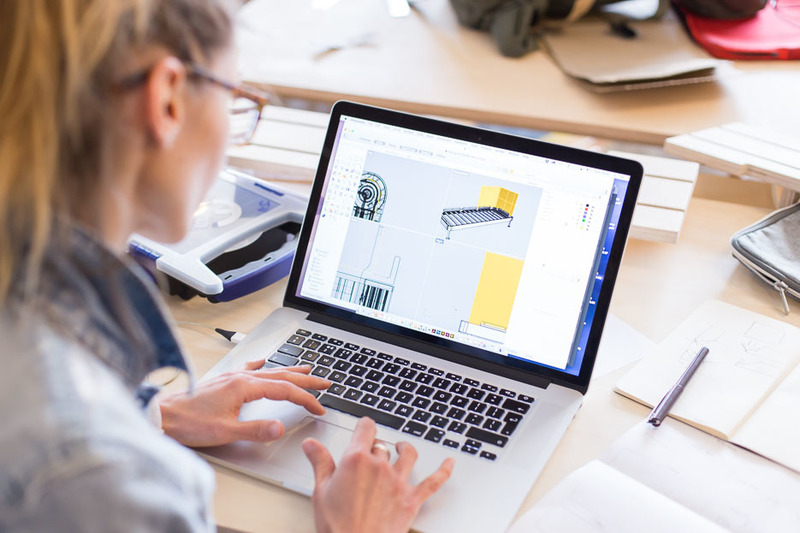 The collaboration between Opendesk and SPACE10 was inspired by a conversation during Milan’s Salone del Mobile, when Joni Steiner (Co-founder here at Opendesk) spoke with Guillaume Charny-Brunet (Head of Innovation at SPACE10) about the Delaktig project launched there by both Tom and Ikea respectively. 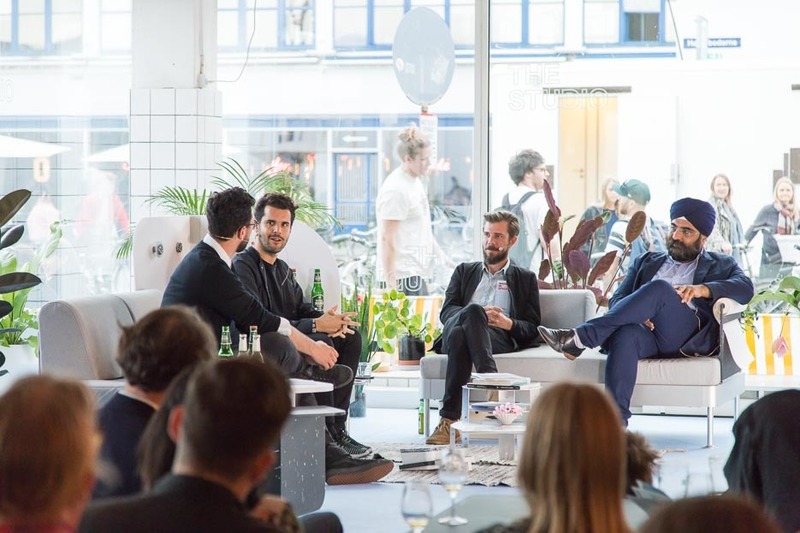 They discussed how the project fits neatly into the idea of ‘Open’ hardware & furniture design but also the future of manufacturing and what this might mean for a more distributed and open future. Building on this, Opendesk and SPACE10 decided to explore locally made objects fabricated through the Opendesk maker network that could interface with Delaktig. With the blessing of Ikea and Mr Dixon, Opendesk and SPACE10 assembled a small group of designers to imagine these in their spare time. 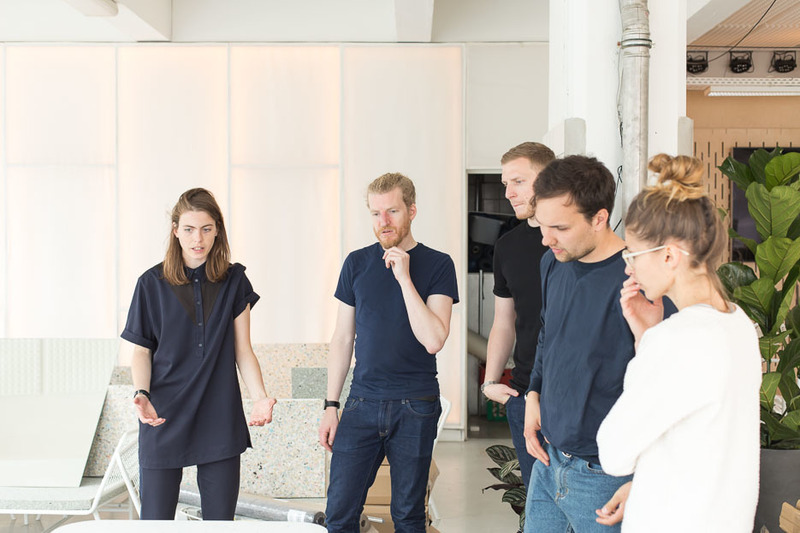 An intense side project followed for each of the 7 designers, who took their designs from first paper sketch to final pieces on display (and in use!) at Made in Space in only 3 weeks! 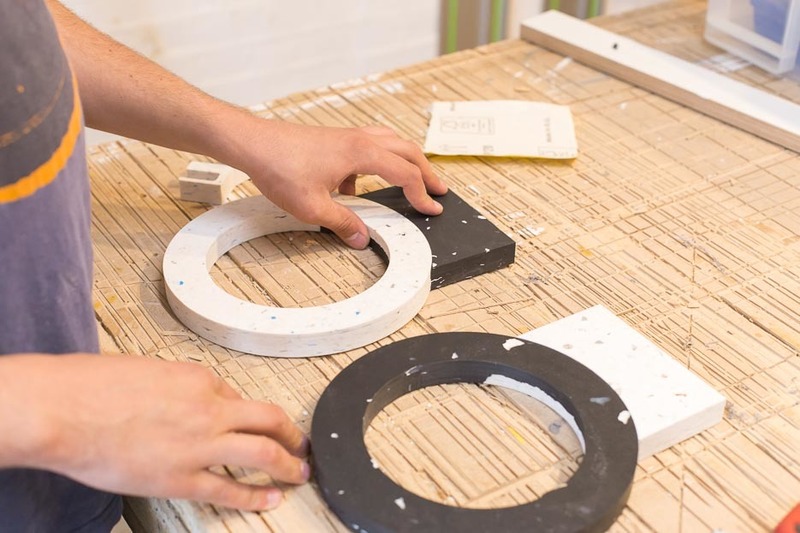 Whilst SPACE10 were very keen to use the Open Making model and Opendesk’s distributed network of CNC-based makers, they also wanted to challenge the group to source locally available and recycled materials- bringing ‘Circularity’ to the distributed manufacturing story. 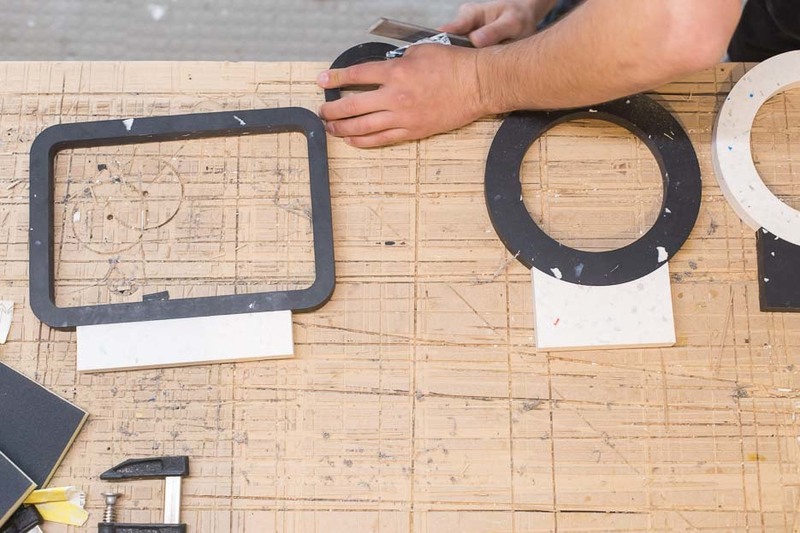 Together, SPACE10 and Opendesk formed a design brief that touched on local making, digital fabrication, and circularity. 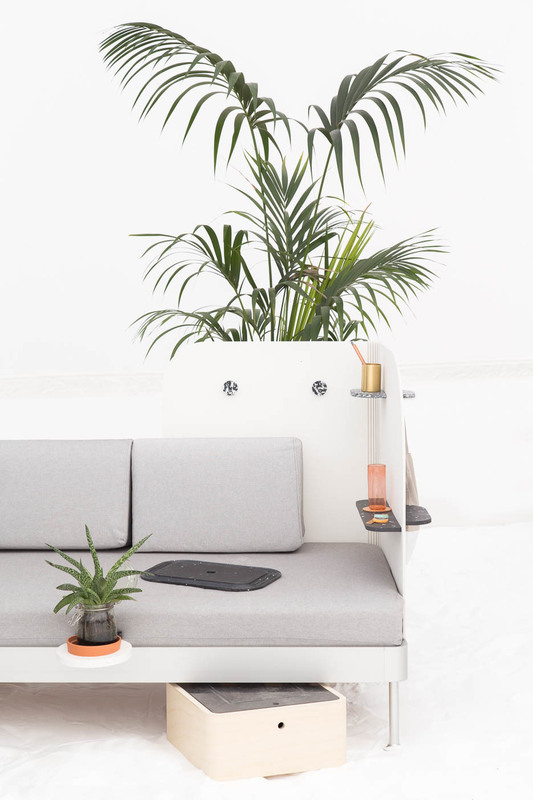 Opendesk added that all designs should imagine the Delaktig frame/sofa/bed as something for the near future of work- furniture for the domesticated office or the productive home or somewhere in-between. Designer Bio: Chiara Onida is an Italian designer based in London. 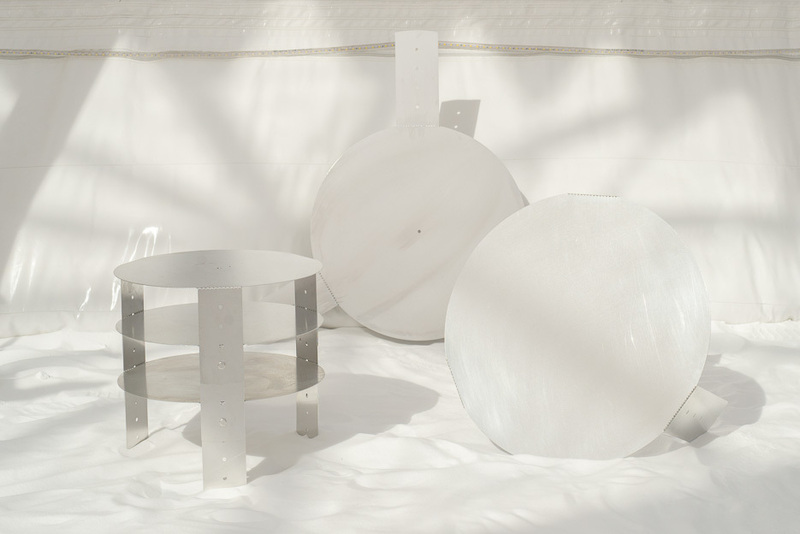 Her practice explores an innovative approach to materials and production techniques, emphasising both functional and narrative outcomes. 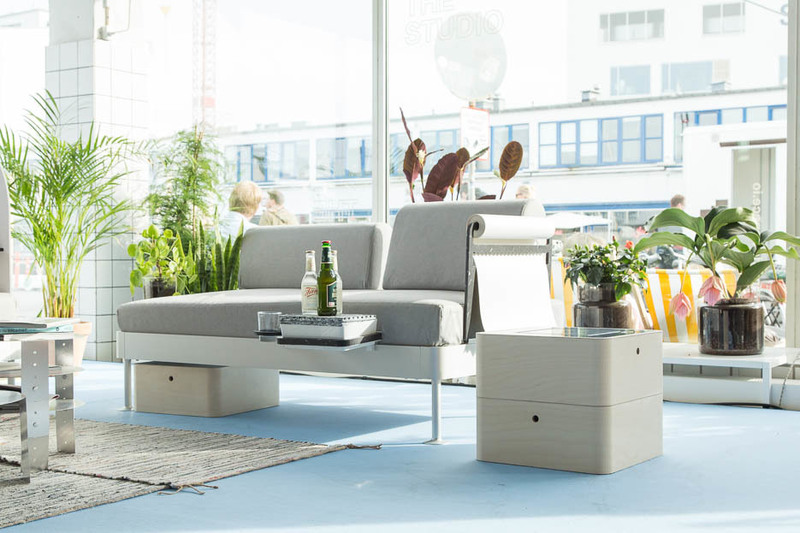 Product Description: Alae originates from the idea of creating additional surfaces that can integrate with the Delaktig sofa system or be used independently around it. Alae’s design language references the rounded corners of Delaktig’s parts and cushions, and its overall clean construction. Simple shapes, relatively-proportioned sizes and a single materiality allow Alae to be arranged in multiple configurations. Product Material: Smile Plastics ‘Yoghurt’ & Smile Plastics ‘Charcoal’. 100% recycled plastic. Designer Bio: Josh is a product designer, open design advocate, and Content Lead at Opendesk. His previous work has led him to consider an alternative role for designers as creators of valuable resources, shared in the commons for the good of society. Josh wishes to bring designs to market under a new model, where fair profit can be derived from work designed collaboratively, shared openly and made locally. 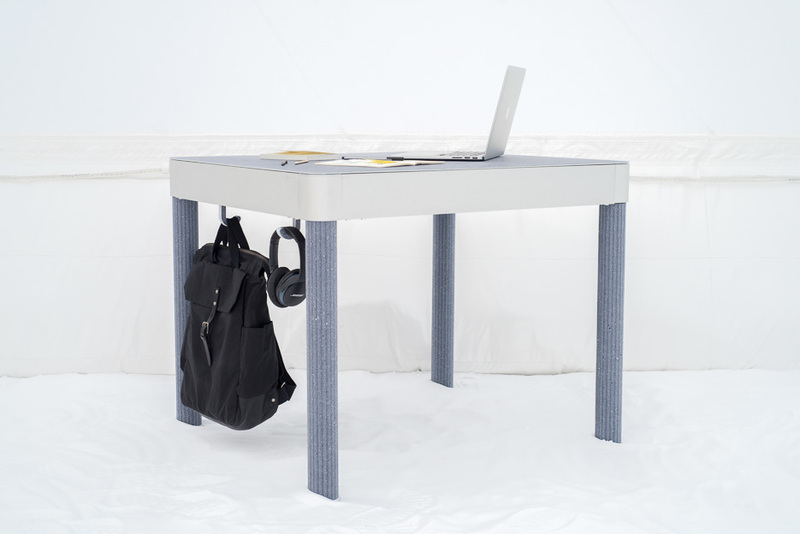 Product Description: We no longer think of work as a desk, office cubicle or study. Technologies allow us to be more mobile and organisations empower us to work in ways that suit individuals, not organisations themselves. ‘Work’ as a mode of living is closer than ever what might be considered ‘leisure’. 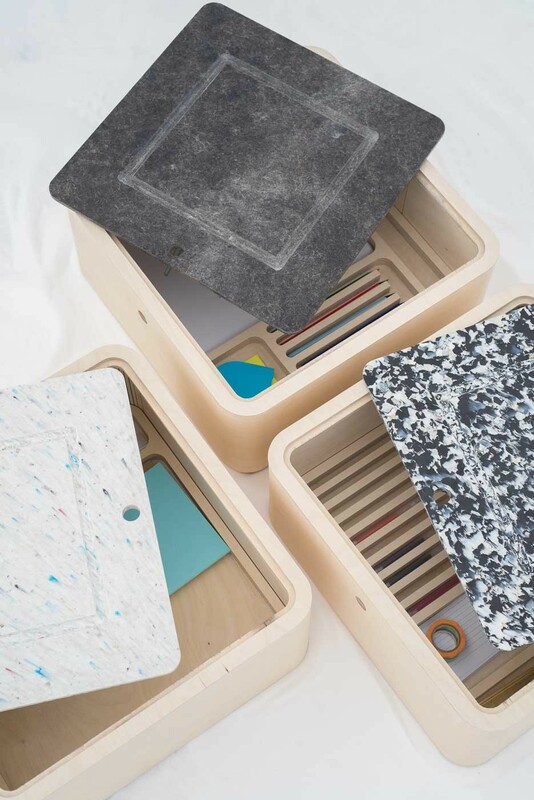 Toolbox is a storage solution and light workstation for the home worker. The perfect companion for Delaktig- slide boxes under the sofa or stack multiple boxes to create a light workstation ideal for laptops and notepads. Inside each box is a tool tray designed to accommodate the ‘tools’ of the home worker from laptops and charging cables to stationary. Discreet ball castors allow Toolbox to be moved conveniently around the home or office. Product Materials: Smile Plastics (Various)- 100% recycled plastic. Solid Wool- a unique, composite material made from wool and bio-resin, made in Devon (South West England). 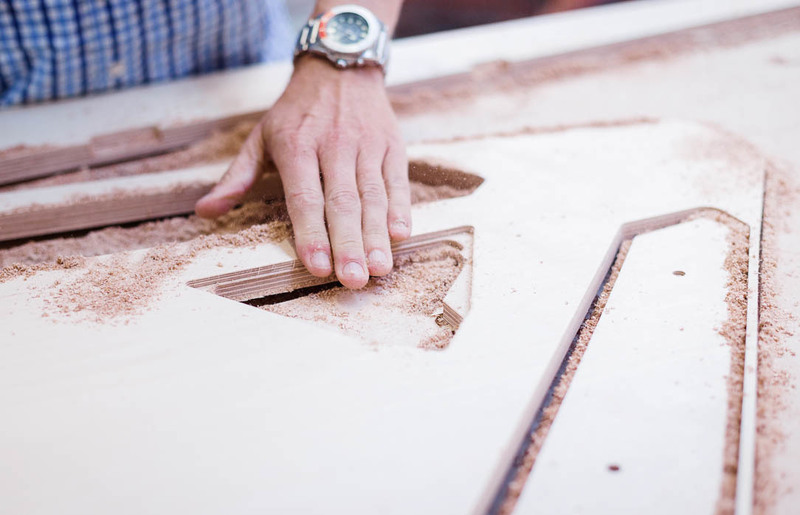 Birch faced plywood- the staple ingredient of any workshop. Designer Bio: Bruno is a process-led designer with a focus on combining form and detail with creative and unexpected design processes to create products with a unique narrative. Currently, he is lead designer at Kano computing, working to create electronics that challenge the way that the new creative generation interacts with the digital world. Product Description: Ikea Links are a series of designs that bridge the gap between Delaktig’s modular frame and existing Ikea favourites. 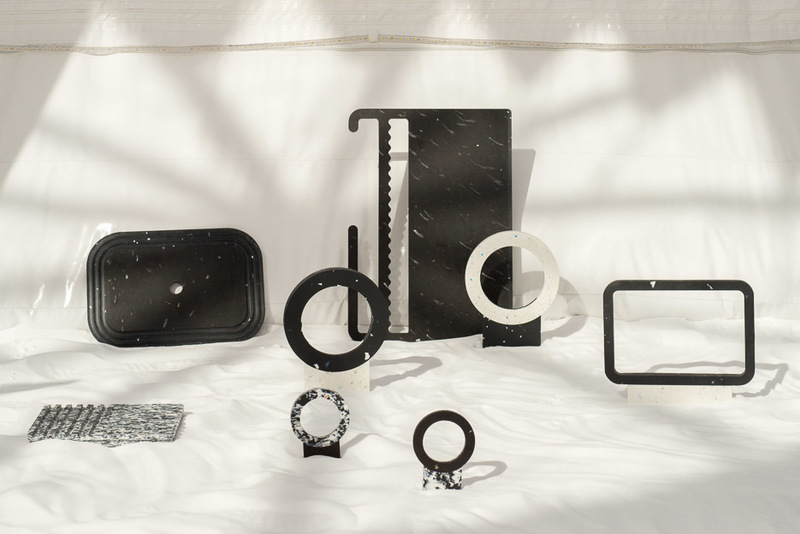 Created in response to Ikea’s new modular product model, the Links ensure that useful and beautiful Ikea classics are able to live in this new ecosystem too. Using mixed materials which complement those of the objects they are linking, each piece encourages play and experimentation through their ability to accommodate many forms of Ikea products. 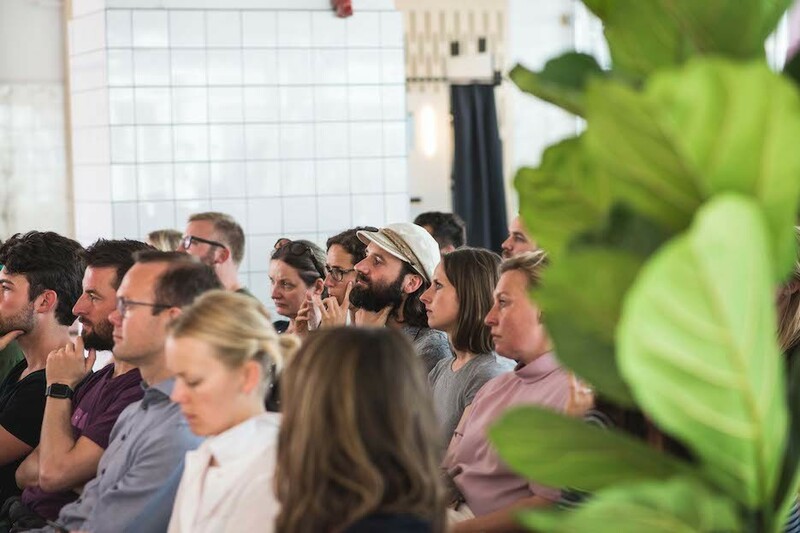 Links sees the opportunity that Open making has to unshackle consumers from the somewhat rigid confines of modular product systems, providing users with the framework to give new function and context to products that might be considered ‘incompatible’ with Delaktig. This allows for countless new ways to customise your sofa. The designs feature a paper roll dispenser, pen/cup holder, plant pot attachment, additional storage and work surfaces for the Delatktig. 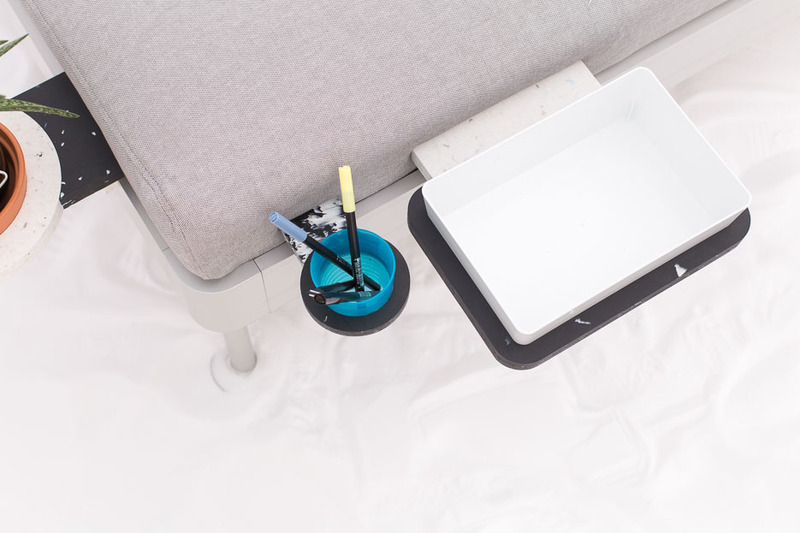 Each piece is able to connect to the Sofa frame and be easily re-positioned using a simple, custom clip. Product Material: Smile Plastics Yoghurt, Smile Plastics Charcoal. Designer Bio: David & Joni Steiner are London-based designers and brothers. 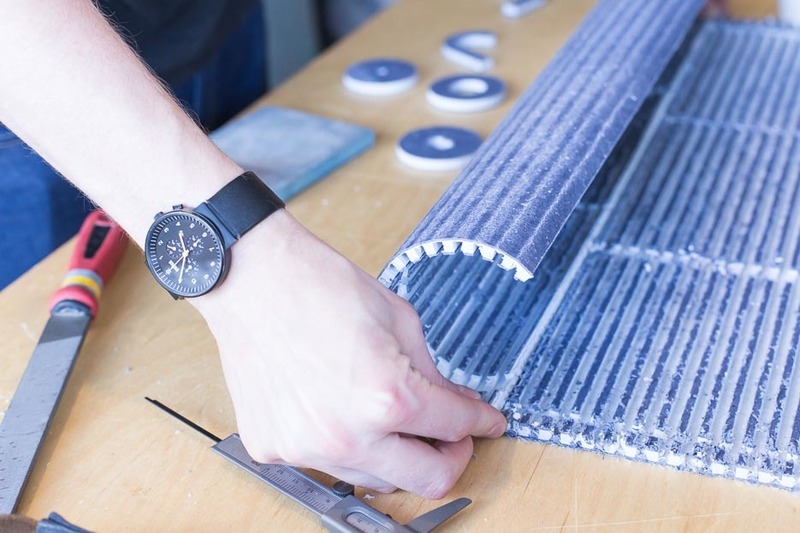 Their work is underpinned by an inherent fascination with materials and manufacturing processes. 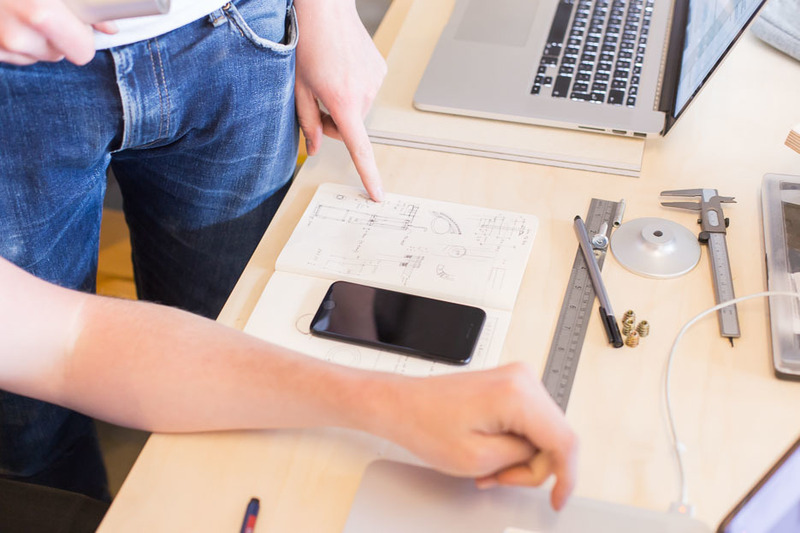 David is a product and furniture designer, Joni is an Architect & co-founder of Opendesk. 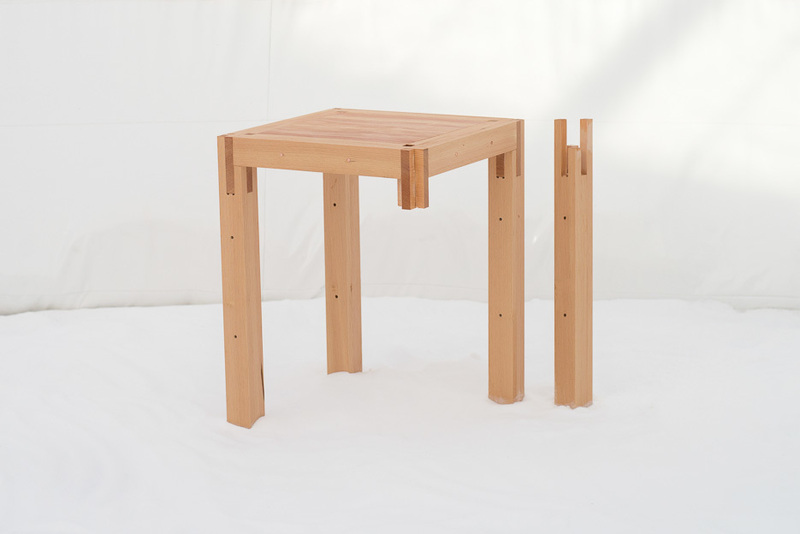 Product Description: Delaktable is a simple table made for the home or office. It’s an everyday piece of furniture that explores some big themes- from the near future of the workplace to the nature of global manufacturing and supply chains. 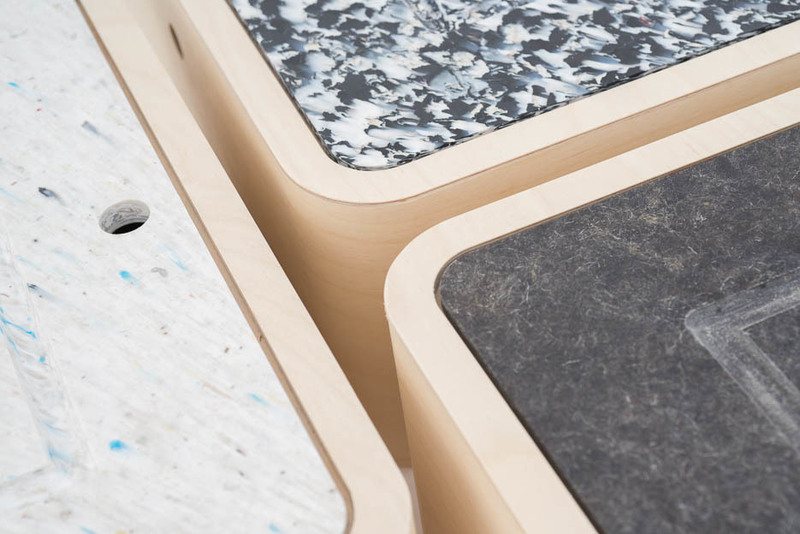 Combining an industrially-produced aluminium frame with a locally-made tabletop and legs, Delaktable enables distributed manufacturing to meet centralised mass production. 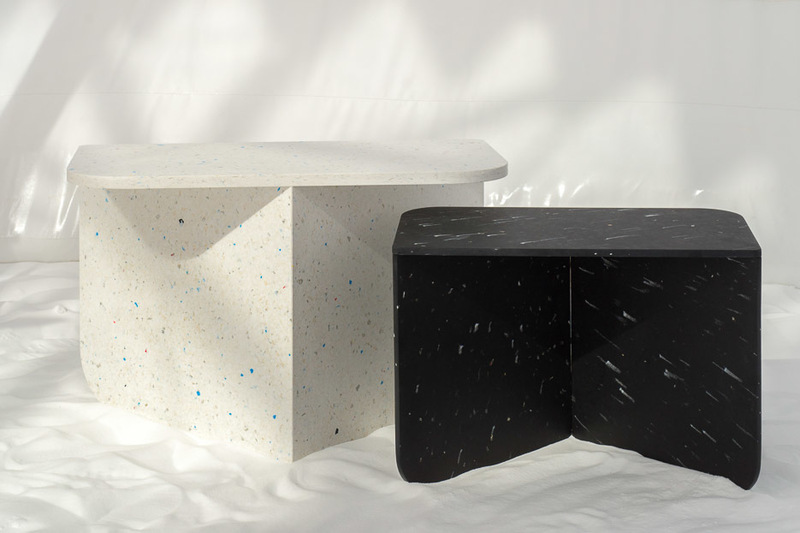 The tabletop and legs are made from solid textile board- produced by recycling textile waste in Copenhagen and can be made in local carpentry workshops worldwide. Product Material: Frame: Extruded Aluminium (40% recycled), made in Sweden by Sapa and sold at IKEA worldwide from February 2018. 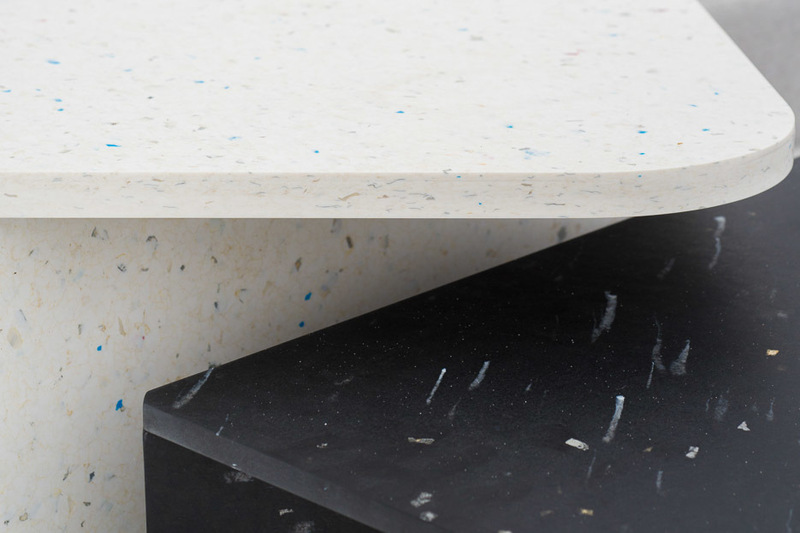 Table top & legs: Kvadrat Really solid textile board in Denim, Made in Copenhagen from recycled fabric waste. Product Description: Lato is a privacy screen that can be accessorised with small shelves, hooks, panels of sound absorbing materials and pinboards. 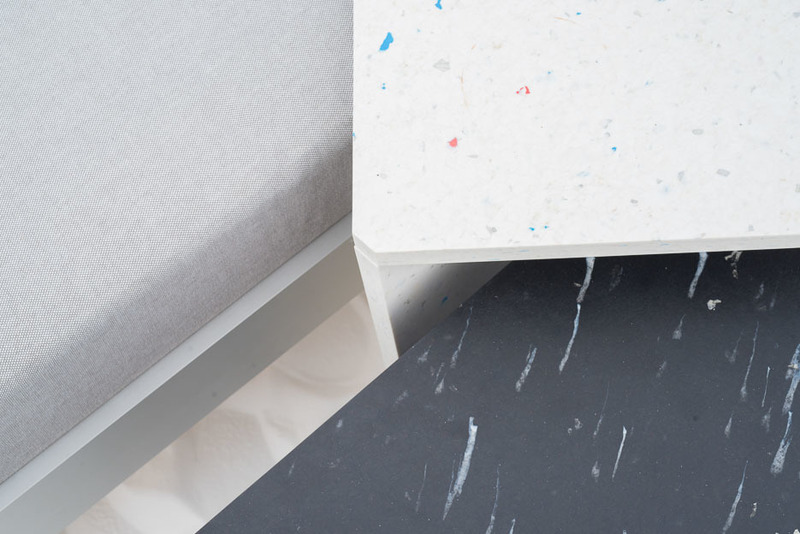 Made from recycled fabric waste, the Kvadrat Really board, originally flat, is kerfed and curved to follow the outline of the aluminium frame and to clip into existing hooks on each side of the Delaktig structure. Product Materials: Kvadrat Really solid textile board in white. Smile Plastics in various colours. 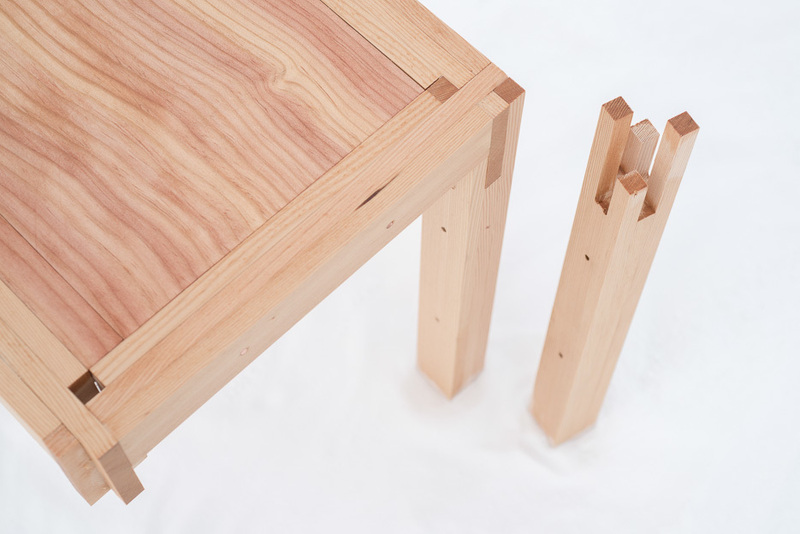 Designer Bio: Emil and Jesse are architects collaborating between Denmark/Taiwan. 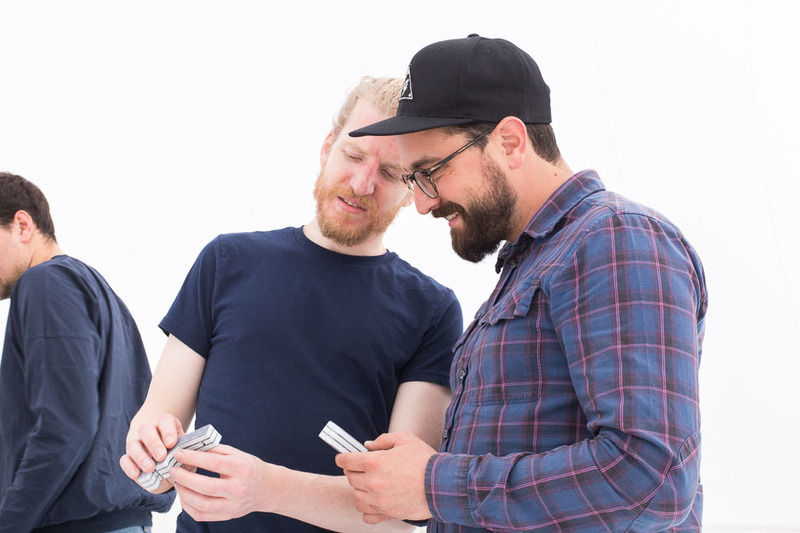 They met during their Masters at Cranbrook Academy, MI, where they both explored the CNC’s potential of producing architectural structures in 1:1 scale. Product Description: The two designs are an exercise in trying to expand the logic and potential of open-source design. The idea that informs these structures is scalability and flexibility. We have called them Structure no.1 and no.2 as they have to be understood as a way of thinking about structure and technique rather than object quality and functionality. Both pieces consist of 2 x 2D machining operations: A drill pass and a profile cut. 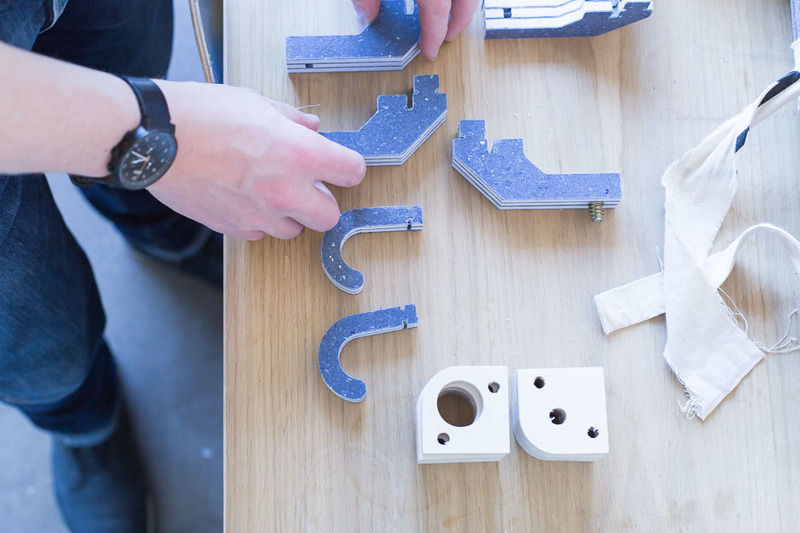 After production, assembly is quick and simple. Structure no.1 is presented in Oregon Pine. Parts are machined then laminated with dowels. Finally, the laminated parts are connected with a rubber hammer. The parts can be taken apart in order to extend/shorten the verticals, the horizontal plane can be scaled to accommodate different use cases. Structure no.2 is presented in bent aluminium. The bend lines are perforated making it possible to bend the material by hand. Once bent, the same part can be stacked and bolted on top of each other until the desired height is found.